Next time it’s your turn to entertain in your monthly Villain’s book club (seriously, can I start one of those? ), make sure your lemonades are iced with Han Solo. In carbonite. 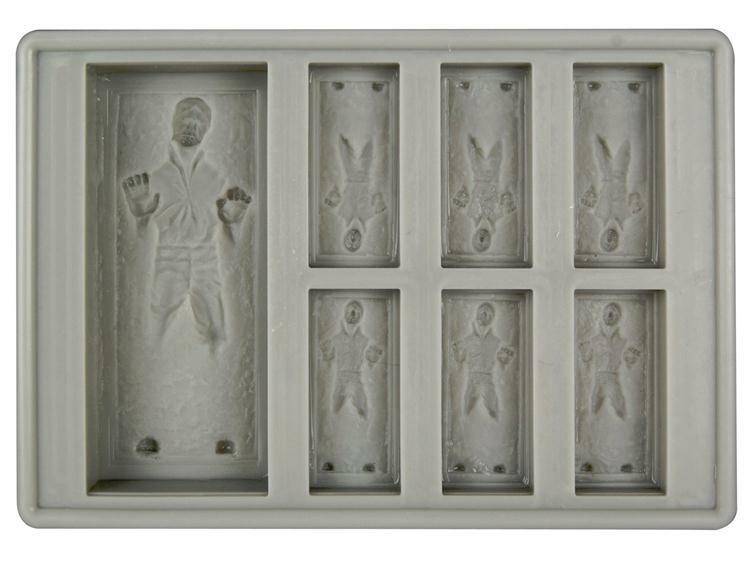 These ice molds are available for pre-order for $8.99, and will be in-stock starting July 2011. They also have a set of R2-D2s available, for the same price. I personally would use these ones for chocolate instead. How much cuter would it be to receive a chocolate RD-D2 in your Easter basket instead of some silly bunny?